Christopher Nicholson’s contemplative AMONG THE SUMMER SNOWS is out in paperback from September Publishing. His journey to discover the last snows to survive the summer in the Scottish Highlands was first published in hardback in 2017 and was longlisted for the 2017 Highland Book Prize. AMONG THE SUMMER SNOWS was also one of six books shortlisted for the Boardman Tasker Award for Mountain Literature last year. The judging panel described the book as ‘lyrical and elegiac’. As the summer draws to a close, a few snowbeds – some as big as icebergs – survive in the Scottish Highlands. Christopher’s AMONG THE SUMMER SNOWS is both a celebration of these great, icy relics and an intensely personal meditation on their significance. A book to delight all those interested in mountains and snow, full of vivid descriptions and anecdotes, it explores the meanings of nature, beauty and mortality in the twenty-first century. Christopher Nicholson is the author of three novels, including THE ELEPHANT KEEPER (Fourth Estate, 2009), shortlisted for the Costa Prize in 2009. In 2011 the novel was adapted for BBC Radio 4 and shortlisted for the Encore Award. His novel WINTER, about Thomas Hardy’s later life and the young actress who became his last muse, was published in 2014 by Fourth Estate and dramatized for BBC Radio as TESS IN WINTER. The stage adaptation of the novel, titled A PURE WOMAN, will premiere in September 2018 and will tour in Dorchester, Poole, Bristol, Chipping Norton, Malvern, Torrington and further afield. Christopher Nicholson’s AMONG THE SUMMER SNOWS, a contemplative journey to discover the last snows in the Scottish Highlands, has been longlisted for the 2017 Highland Book Prize. AMONG THE SUMMER SNOWS, published by September Publishing in 2017, was also one of six books shortlisted for the Boardman Tasker Award for Mountain Literature last year. The judging panel described the book as ‘lyrical and elegaic’. 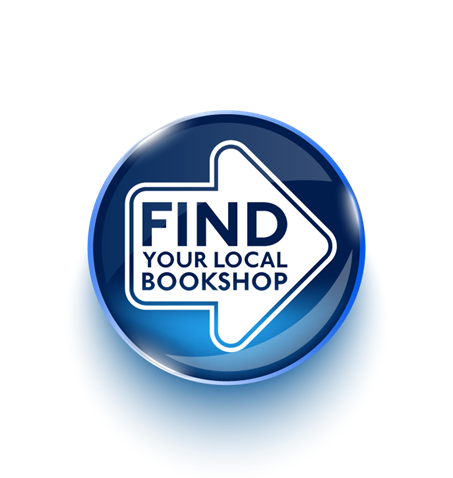 The Highland Book Prize is an annual prize established in 2017 to promote high quality published works that recognise the Highlands for its strong cultural heritage and its magnificent landscape. Presented by the Highland Society of London and facilitated by Moniack Mhor Writers’ Centre, the prize aims to bring recognition to literature created in or about the Highlands, and is open to fiction, non-fiction and poetry. The shortlist will be announced in April. The winner will be revealed in May at the Ullapool Book Festival and will receive £1000 and a writing retreat at Moniack Mhor. Christopher Nicholson is the author of three novels, including THE ELEPHANT KEEPER (Fourth Estate, 2009), shortlisted for the Costa Prize in 2009. In 2011 the novel was adapted for BBC Radio 4 and shortlisted for the Encore Award. His novel WINTER, about Thomas Hardy’s later life and the young actress who became his last muse, was published in 2014 by Fourth Estate and dramatized for BBC Radio as TESS IN WINTER. He has lived near Shaftesbury in Dorset for the past thirty years. AMONG THE SUMMER SNOWS was selected by The Telegraph as one of the best Christmas books for armchair travellers in December. Visit Christopher’s website or follow him on Twitter. 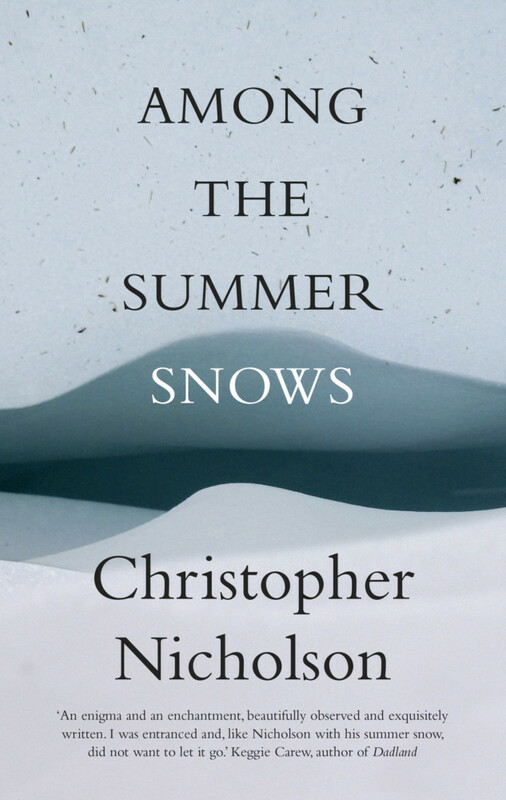 Christopher Nicholson’s AMONG THE SUMMER SNOWS (September Publishing, 2017) has been Shortlisted for the 2017 Boardman Tasker Award for Mountain Literature. The Boardman Tasker Award for Mountain Literature was established to promote literature by providing an annual award to authors of literary works, the central theme of which is concerned with the mountain environment. The prize of £3,000 commemorates the lives of Peter Boardman and Joe Tasker and is given to the author or co-authors of an original work, which has made an outstanding contribution to mountain literature. The winner will be announced on November 17th at the Kendal Mountain Festival. Other books on the shortlist include Tommy Caldwell’s THE PUSH and Ed Douglas’ THE MAGICIAN’S GLASS. As the summer draws to a close, a few snowbeds - some as big as icebergs - survive in the Scottish Highlands. Christopher Nicholson's AMONG THE SUMMER SNOWS is both a celebration of these great, icy relics and an intensely personal meditation on their significance. A book to delight all those interested in mountains and snow, full of vivid description and anecdote, it explores the meanings of nature, beauty and mortality in the twenty-first century. Christopher Nichsolson is the author of three novels, including THE ELEPHANT KEEPER (Fourth Estate, 2009), shortlisted for the Costa Prize in 2009, and the Encore Award in 2011, and dramatized for BBC Radio 4. His most recent novel, WINTER, about the later life of Thomas Hardy, was published in 2014 by Fourth Estate and also adapted for BBC Radio as TESS IN WINTER. Christopher Nicholson’s new non-fiction book AMONG THE SUMMER SNOWS is published today in hardback by September Publishing. Christopher will also be appearing at Wigtown Festival in September, and at the Edinburgh International Book Festival on Wednesday 16th August 2017, alongside the nature writer Jim Crumley, for a talk entitled 'Men For All Seasons'. More information can be found here. Read the opening paragraph of the AMONG THE SUMMER SNOWS here. See more on Christopher’s website here. ‘This is the kind of beautiful writing that transcends form – in this case nature writing - to arrive somewhere improbable and compelling.’ – Paul Evans, nature writer, Guardian Country Diary and more. Christopher Nicholson is the author of three novels, including THE ELEPHANT KEEPER, which was shortlisted for the Costa Novel Award and Encore Prize. His third novel WINTER, about the late life of Thomas Hardy, has been adapted for radio as TESS IN WINTER, and sold in Spain and France. He lives in the countryside on the border between Wiltshire and Dorset. September Publishing have acquired WAL to a non-fiction book in the nature writing genre by Christopher Nicholson, author of acclaimed novels THE ELEPHANT KEEPER and WINTER, from Isobel Dixon at Blake Friedmann. AMONG THE SUMMER SNOW is an account of a summer's journey through the Highlands of Scotland in search of the snow patches that remain. Interwoven are meditations on the science of snow, the art of observation, the legacy of other walkers such as Boswell and Johnson and the lure of the mountains themselves. As Christopher Nicholson says: 'The summer snow patches of the Scottish Highlands are magical things. They're beautiful, thought-provoking and enigmatic, not least because of their strange survival. They ought to have melted, but they're still here, like icebergs that have floated and settled high in the mountains.' The book will be illustrated and published as a hardback in Spring 2017. Christopher Nicholson lives in the countryside on the border between Wiltshire and Dorset. His second novel THE ELEPHANT KEEPER (Fourth Estate) was shortlisted for the Costa Novel Award and the Encore Award and his third novel WINTER (Fourth Estate), about the late life of Thomas Hardy, has been adapted for radio as TESS IN WINTER and recently published in the US by Europa. French and theatrical rights are also sold. See more on Christopher Nicholson's website.